Perhaps this is what springs to mind when most people think of the Philippines. We took the ferry crossing from Batangas to Puerto Galera to the beautiful island of Mindoro, staying at the gorgeous Aninuan beach. It is clichéd but the beaches in the Philippines really are the picture-perfect images you see on postcards. Golden sands, clear gentle waters, palm trees and sunshine. Brighton beach doesn’t quite compare! If I returned, I’d love to explore more of the islands including Palawan and Boracay. 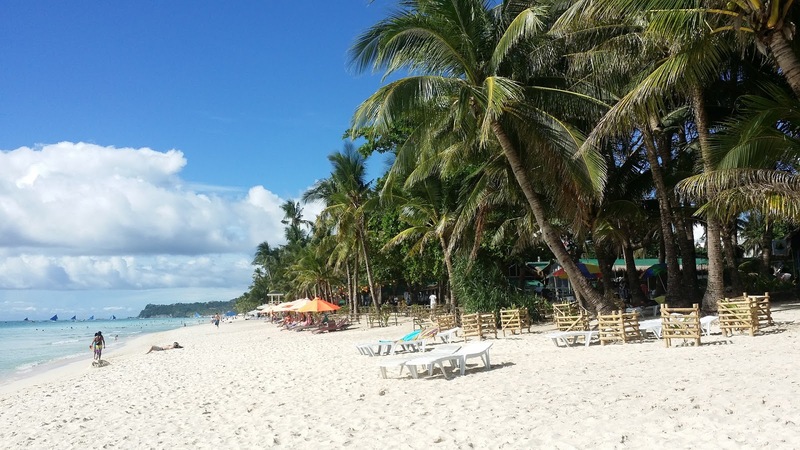 Although these islands are sometimes more touristy these Boracay packages look amazing and offer a varied range of options for visitors, including island hopping, diving trips and sailing. As well as visiting one of the islands we also visited the famous Banaue rice terraces. It involved a long bus ride from Manila and some crazy rides in tuk-tuks and a jeep. I say crazy because at this point, we were driving along muddy & bumpy tracks, so had to forget about our safety and hold on tight! Although my heart rate increased like never before, the journey was well worth it. The rice terraces are stunning; I have never seen anything like them. The Banaue rice terraces are astonishingly 2000 years old and were carved into the Ifugao mountains by indigenous people. 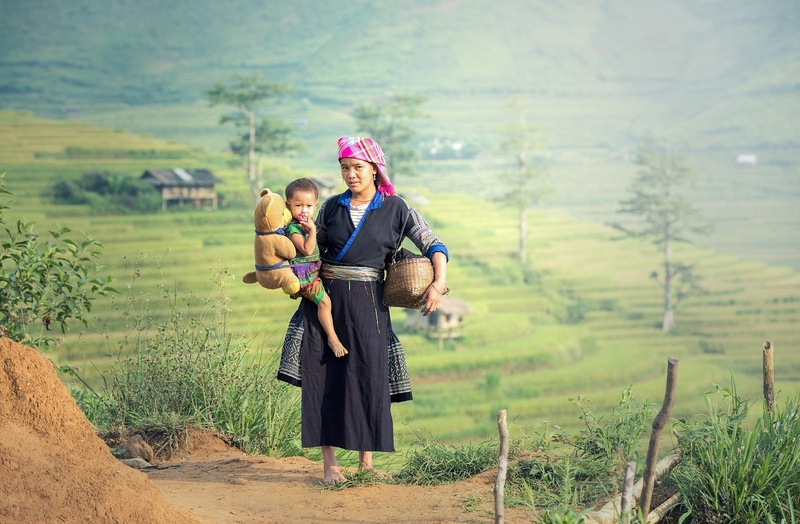 There were only a handful of tourists when we visited and we got the opportunity to walk through the rice terraces meeting locals along the way. 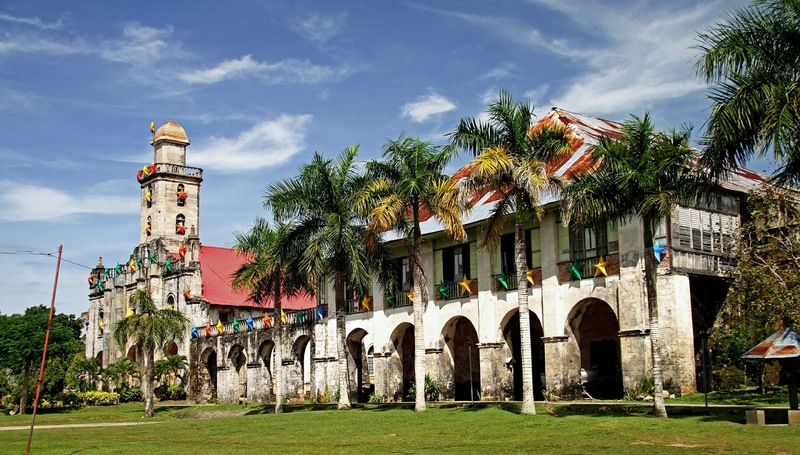 The Philippines has a fascinating culture with many Western and Eastern influences. The Philippines was mainly influenced by Malay heritage before the Spanish Empire colonized the islands where Roman Catholicism spread throughout the country. The Philippines also became a U.S. territory for over 50 years. With a rich and diverse culture, these influences are shown in the food, architecture, art, music, festivals, literature and religion. It’s amazing how people have so little yet make do with what they have. 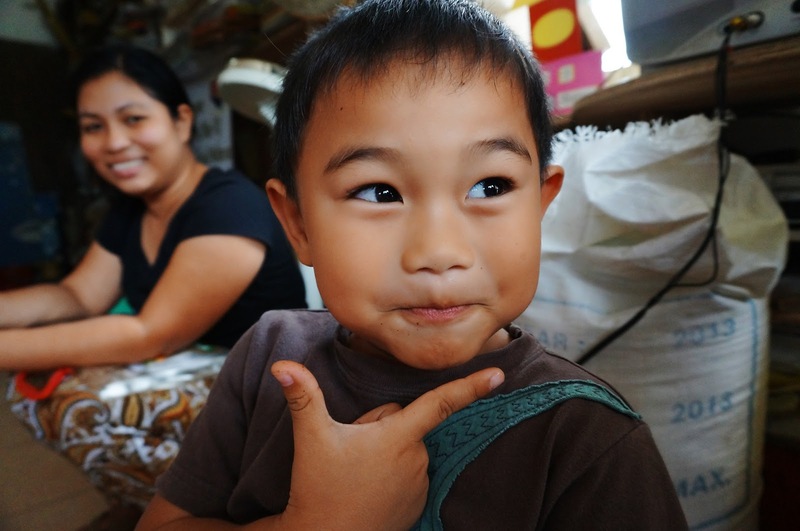 We visited my sister-in-law’s family in Manila, who at that time were living in one big room, built by themselves above the ground. The whole family lived there with barely any privacy. Yet they all got on with it because they had to. I’ve seen the same thing in India. Filipino people are so friendly, genuine and laid-back and it’s refreshing to see how another society lives. The food is a big bonus. I’ve been a pescatarian for most of my life and fish is sold in abundance in the Philippines. Buy fresh fish on the islands, near beaches or in most cafes inland. One of the main dishes is rice with delicious Tilapia or Bangus fish. I got used to eating this most days, even for breakfast sometimes! I also loved the Lumpia, which are sumptuous fried spring rolls available in both vegetarian and meat versions. 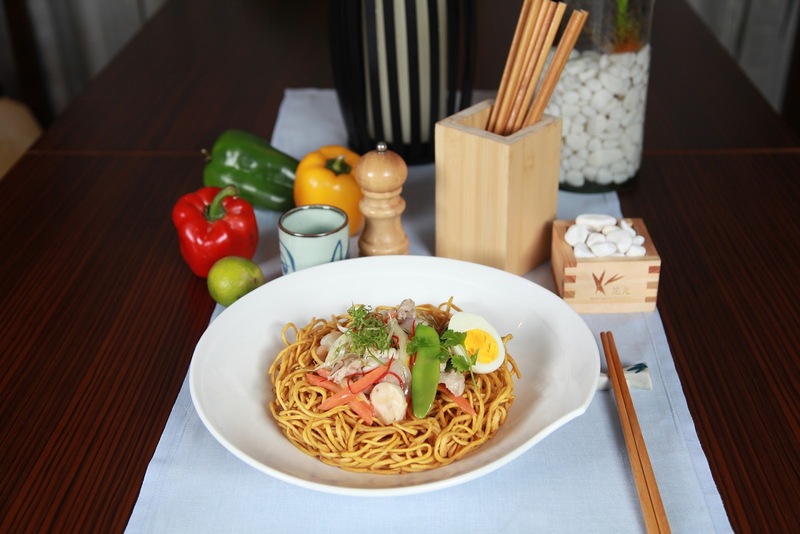 There is a huge cuisine culture in the Philippines with so many tastes and influences you won’t be disappointed. The Philippine mango has a reputation for being the best and tastiest in the world! This is a collaborative post written with the help of our friends at Philippines Travel Package, a local travel agency offering tailor made vacation packages. Have you visited the Philippines? What are your best things? I love the culture and food too! Sadly when I visited I only had the chance to visit Manilla, but I want to go back and explore more. Nice piece, with beautiful pictures. You really know how to capture people. I just spent two months in the Philippines and loved it! I feel that your pictures have really captured the essence of the country! Thanksfor your kind words about my country. You got the essence! We really enjoyed visiting the islands and diving in the Philippines. But we did not love the food. We found it to be really greasy, everything fried or super sugary and disappointingly not very fresh. Nature over there is absolutely stunning. Not only the crystal clear water, but also the trees and palms: it looks like Paradise! And your photos captured it beautifully! Beautiful photos and very interesting reading about the culture. I didn't know the Philippines used to be a US territory! 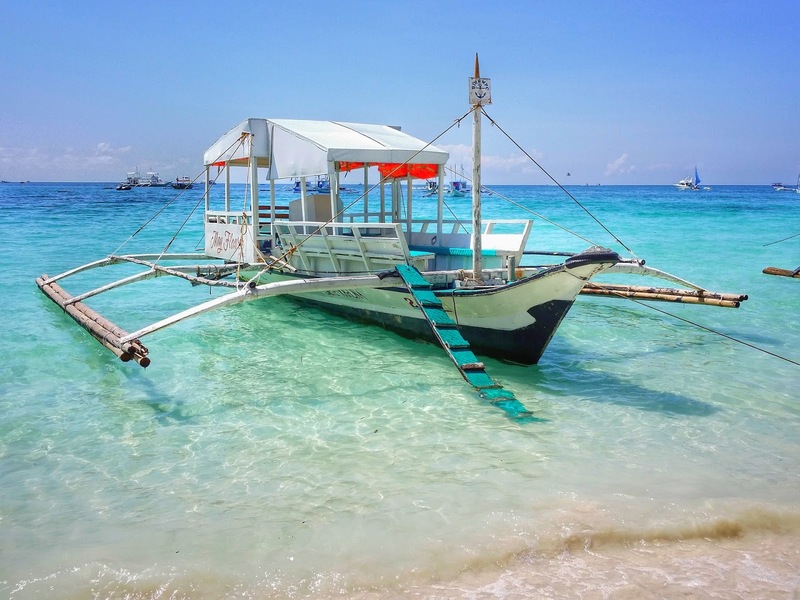 I visited the Philippines last year, though didn't have nearlly enough time - we stayed in Manila, and then jumped over to Boracay - was a nice introduction to know that I want to head back and go island hopping for months at a time! So glad to see that islands made your list - they're spectacular!